Abe, experts say, is taking every opportunity to court Trump as Japan tries to stay out of the U.S. leaders crosshairs, unlike some other world leaders who have upset him on trade and other issues. Im not sure what other choices this administration, or any Japanese administration, has except to try to build the best relationship possible with Washington through face-to-face interaction, said Stephen Nagy, a politics and international studies professor at International Christian University in Tokyo. I think Mr. Trump being the first to meet the emperor is a good example of that. Relations between Japan and two of its closest neighbors, South Korea and China, remain strained over their war history and territorial disputes. Abe has managed to largely stay on good terms with Trump by assiduously avoiding criticism of the U.S. leader. You never hear criticisms out of Japan … that has been very characteristic of the Abe administration, Nagy said. I think he has done well because he hasnt insulted Mr. Trump to cause problems. Hiro Aida, professor of global studies at Aoyama Gakuin University and an expert on Japan-U.S. relations, said Abe is jumping at the opportunity of the emperors succession after his ties with Trump were seen to be weakening as the U.S. leader came down hard on trade issues, demanding that Japan do more to reduce the countries trade imbalance. Now we have only one month left to March 29, 2019, the day of Brexit. Whenever possible since the UK referendum in 2016, I have checked out news articles, professional reports. government’s remarks, etc. in English and Japanese. I am listing and explaining the three topics which have seemingly not been confronted in the media, etc., as below. I. 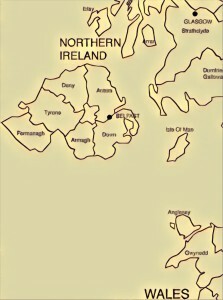 Leaving the European Union Customs Union and Avoiding the return of a Hard Border between Northern Ireland and the Republic of Ireland are incompatible. I have gotten an impression from the media, etc. : in the U.K., Leavers and Remainers have respectively been stick to their own convictions since political activities before the referendum; and agreements between the two factions and those between the EU and UK by the deadline seem a steep path. In the first half of last year, I felt such steepness is due to the Northern-Southern border. And I have come to feel so stronger, last autumn when there arose much news about the Brexit backstop – a safety net in order that the NI and the ROI will maintain the current open border, under the 1998 Good Friday agreement which decided not to make physical facilities on the border, in case no formal deal between the EU and the UK can be reached on trade and security arrangements by the end of transition period, i.e. the end of the year 2020. In English there is much news articles plainly explaining the border question, and not a few ones whose precondition is the above incompatibility. However, there seems no article which confronts the incompatibility itself. In Japanese, there seems no such news articles other than the one written by a senior researcher of a Japanese think tank who I do not know in person. 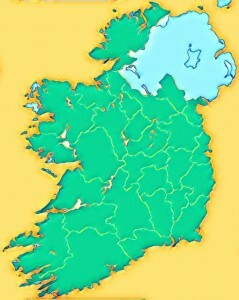 That article says the entire Brexit necessitates the hard border – such a tight border control that Japan has done as a distinct economic area; and you need to give up the entire Brexit if you maintain the current open border, which means you need to stay in the EU customs union as you belong to the same economic area as the EU. I agree to it. I have an overall impression that concerned people have actually continued to find some compromise plan because it would have been all for nothing if they had said this clearly in public. However, eventually, nothing comes from nothing. The incompatibility eventually leads just to “some people choose one of the two”. There are options such as another referendum, a resolution of the House of Commons, a snap election, etc. In the first place, the referendum, one of the campaign promises in the 2015 general election, was conducted in 2016 and followed by a state of seemingly senseless chaos. So, the least unreasonable would be another referendum which confirms whether or not the result of the referendum in 2016 is UK citizens’ will in reality. Fundamentally, not only referendum but also voting itself tends to be greatly affected by political winds, not decided by the content of the subject on which the judgement of the people was sought. And in 2016, Leave won by a very narrow margin, despite this result will turn over the status quo of the whole UK. If the result were Remain, i.e. maintaining the status quo, a very narrow margin would not matter. But the result was the turnover. What are convincing reasons to avoid another referendum under democracy, which ask people whether it is OK to really exit the EU on the basis of the narrow margin? I have not understood such reasons, while I saw “referendum should not be carried out twice because we had better preserve the credibility of the referendum”, etc. Most of UK citizens will be convinced, if another referendum confirms their judgement and a hard Brexit comes true. II. The state of things in electoral districts of MPs who left the Labour or the Conservative parties. As of 21 February, eight Members of Parliament have left the Labour, the largest opposition party, due to their dissatisfaction with its leader’s vague attitude toward Brexit, anti-Semitic attitude, etc. On the other hand, three MPs have left the Conservative, due to their dissatisfaction with the government’s catastrophic handling of Brexit. A total of these eleven members will not join the opposition Liberal Democrats, but form an independent group which aims to conduct another referendum (seemingly similar to my above thought). We can think in general that their actions are based on their concerns that they lament the UK as parliamentarians, or are related to circumstances of constituency to whom they owe many things. The eight ex-Labours [district/county] are Coffey [Stockport/Greater Manchester], Smith [Penistone and Stocksbridge/South Yorkshire], Shuker [Luton South/Bedfordshire], Gapes [Ilford South/Greater London], Umunna [Streatham/Greater London], Leslie [Nottingham East/Nottinghamshire], Berger [Liverpool Wavertree/Merseyside], Ryan [Enfield North/Greater London]; the three ex-Conservatives Soubry [Broxtowe/Nottinghamshire], Allen [South Cambridgeshire/Cambridgeshire], Wollaston [Totnes/Devon]. According to a UK university’s research, for example, in Coffey’s Stockport, Leave-Remain difference were marginal, and Remainers increased in proportion to house prices. We can think that there are not a few people who have middle-price houses, voted Leave in 2016, but converted themselves to Remainers, while there are usually more middle-price house owners. 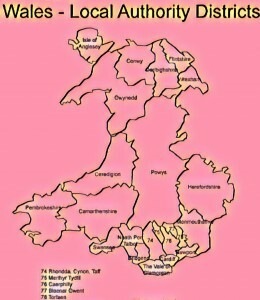 Would this situational change urge the ex-Labour and ex-Conservative members to secede from the party and to try to conduct another referendum? When we see MPs’ voting behaviors at resolutions in the House of Commons, there must be cases in which it is useful to analyze not only house prices but the state of things in electoral districts. III. The City of London does not prefer Jeremy Corbyn’s policies. 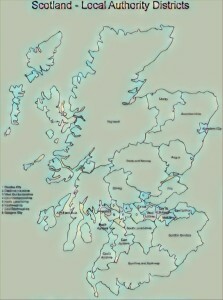 Although the ruling party achieved a great victory in the 2015 general election, it could not have been intrinsically strange if approval for the party had dropped significantly in the UK where regime changes by two largest parties have already taken roots, considering chaos which has continued so far and will continue. And the above attitude of the Labour leader seems to rather show his favor on soft Brexit. However, in the media, etc., it has been said by and large that Corbyn’s Labour government with a strong left-wing flavor and its public policy such as re-nationalisation of public utilities and wealth tax are undesired, and are feared more than hard Brexit. The former would expand budget deficit and cause a sharp rise of inflation rate, which would lead to government bonds’ decrease in demand and long-term government bonds’ decrease in price. The latter would be an income tax hike towards people with over eighty thousand pounds, and would lead to the people’s escaping abroad and the UK’s revenue decline. The City is said to be on its guard against such policies. If I dare to say, its guard might not be off-base. For example, concerning the re-nationalisation, we need to take the following into consideration: the UK government deficit-to-GDP ratio is not extremely bad (0.875 in 2017); and Tony Blair’s Labour government so positively expanded the PPP (public-private partnership) including the PFI (private finance initiative) that re-nationalisation, which means banks, equity investors and other private financiers being forced to take a haircut on their investments, is not wanted by the City. On the other hand, in many ages and countries, there have often been policy differences between two largest parties, which need to be tackled at any time taking considerable contents such as the above two into consideration. It should be noted that immediate news coverage and possible analyses shortly after it are of course important. And I usually respect the importance to sort long processes, significant effects on international society, complicated and mysterious affairs of politics and economy, etc., at each turning point of major incidents. However, I picked up the above three points, on the assumption that I write about Brexit just this time – after countless news articles, researches, etc. were already published. The above is a provisional English translation of “Brexit Vol.13“. P.S. I posted the above at around 5 pm (JST). Thank you for coming, many English readers. All the below links and excerpts (incl 5 pictures) are in English. 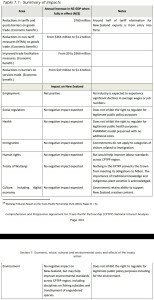 Comprehensive and Progressive Agreement for Trans-Pacific Partnership – National Interest Analysis @ NZ MFAT (PDF; 03/2018) You can check out the below pictures (Tables, etc.) as well. 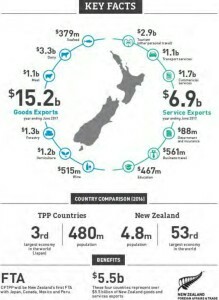 p16 Japan is New Zealand’s fifth largest export market and it is a high value one for exporters. In the year to June 2017 two-way trade stood at NZ$7.9 billion. New Zealand exports to Japan were NZ$4.0 billion, accounting for 5.5 percent of our total exports. The trading relationship is highly complementary with New Zealand supplying food and industrial materials, such as wood and aluminium, and Japan exporting finished industrial goods and machinery to New Zealand. The CPTPP will help New Zealand agriculture exporters in particular overcome high MFN tariff rates into Japan. Japan is also New Zealand’s fifth largest source of foreign direct investment, with significant investments in the forestry sector. Services exports are another big part of our trading relationship, with Japan a top-five source of students and tourists. • At entry into force (Year 1): tariffs eliminated on NZ$1.4 billion of New Zealand exports currently subject to tariffs, including many horticultural and forestry goods, a number of dairy products, some wine, many manufactured products, and much fish and seafood. Specific product examples include such items as: Japan (kiwifruit, squash); Canada (wine); Mexico (mussels, kiwifruit, milk albumin); and Peru (buttermilk powder). As a result, 79.8 percent of New Zealand exports to these new FTA markets would enter duty free on the day the CPTPP enters into force, with estimated tariff savings for New Zealand exporters of NZ$95.1 million. • By the 5th year after entry into force (Year 6): tariffs eliminated on an additional NZ$111.2 million of New Zealand exports currently subject to tariffs, including: … Japan (hoki and other frozen fish, carrot juice, sausages and mandarins) … 2.4 percent of total current New Zealand exports to … 82.2 percent … Estimated total tariff savings in the fifth year after entry into force are NZ$148.1 million. • By the 10th year after entry into force (Year 11): tariffs eliminated on an additional NZ$175.0 million … Japan (tongues, hides, bluefin tuna and apples) … 3.7 percent … 85.9 percent … NZ$186.9 million. • By the 15th year after entry into force (Year 16): tariffs eliminated on an additional NZ$220.8 million … Japan (cheese, sawn wood and offal) … 4.7 percent … 90.6 percent … NZ$220.6 million. • When fully phased in: tariffs eliminated on an additional NZ$71.9 million of New Zealand exports currently subject to tariffs. 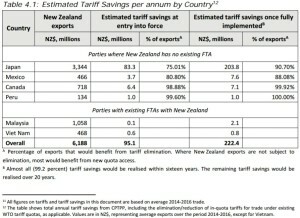 The total tariff savings from the CPTPP are estimated to be NZ$222.4 million per year at full implementation, not taking account of dynamic impacts. • Tariff reductions: Tariffs on an additional NZ$207.1 million of goods exports would be significantly reduced, but not eliminated, allowing for improved market access. This includes beef exporters that would benefit from a 77 percent reduction in Japan’s tariff for beef. This tariff would be reduced from the current 38.5 percent duty to 9 percent over sixteen years, with an initial sharp cut at entry into force, to 27.5 percent. There will be a transitional volume-based safeguard applying to all CPTPP beef imports into Japan, set above current trade levels, with a growth rate. The safeguard will be abolished by Year 20 at the earliest. The new CPTPP safeguard would remove the potential for Japan’s WTO beef safeguard to be applied to New Zealand’s exports. That safeguard was exceeded in 2017 meaning that a higher ‘snap-back’ tariff of 50 percent is being applied to New Zealand exports through to 31 March 2018 placing New Zealand beef exporters at a significant disadvantage to other countries (e.g. Australia) that have an FTA with Japan. This outcome is the best outcome that Japan has agreed in a FTA to date, and would help re-establish a level playing field with Japan’s largest beef supplier, Australia, after the Japan-Australia Economic Partnership Agreement entered into force in early 2015. Japan will also reduce the tariff for ice-cream by two-thirds, from 21 percent today to 7 percent over six years, opening up new export opportunities given the significantly reduced tariff. • Japan will provide 40,200 MT of predominately CPTPP-wide access, with 14,000 MT on priority products for New Zealand including butter and powders. Japan is also eliminating tariffs for most cheese over sixteen years. … Given the scale of some of the tariff benefits from CPTPP that would, in this scenario, accrue to New Zealand’s competitors inside CPTPP, but not New Zealand – e.g. Japan’s reduced beef tariffs, or tariff elimination on Japanese cheese tariffs – New Zealand exporters would likely lose significant market share to other CPTPP exporters if New Zealand were not part of CPTPP. In Article 2.26, Parties acknowledge that countries may temporarily apply an export prohibition or restriction on foodstuffs where there is risk of a critical shortage as set out in Article XI of the GATT 1994 and Article 2.1 of the Agreement on Agriculture. Further to this, the Parties agree that if a CPTPP country is a net exporter of a foodstuff and imposes an export prohibition or restriction on the foodstuff from another CPTPP country in these circumstances, it must notify all of the other Parties before the measure comes into force. Notification must include the reason that the measure was imposed or maintained, how the measure is consistent with the GATT and any alternative measures the Party considered imposing. Any Party that has a substantial interest as an importer of that foodstuff may request consultations with, or data relating to the critical food shortage from, the Party imposing or maintaining the measure. Any measure that is notified under this procedure should ordinarily be removed within four to six months. If a Party is considering extending the measure for longer than this, further notification must be provided to the other CPTPP countries. Measures may only be continued for longer than twelve months if all other Parties that are net importers of the relevant foodstuff have been consulted. A measure must be discontinued immediately if the critical shortage, or threat of critical shortage, no longer exists. These measures may not be applied to food purchased for non-commercial humanitarian measures. • Since the entry into force of the Australia-Japan FTA, New Zealand beef exports to Japan have dropped by over 25 percent, with New Zealand exporters losing market share to their Australian competitors who are only beginning to enjoy tariff preferences under the FTA. • Following the entry into force of the Korea-US FTA, US beef exports increased 25 percent. 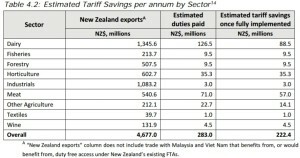 New Zealand exports declined by almost NZ$50 million. The US’ share of the Korean cheese import market has also grown from 41 percent to 74 percent. • Until the entry in force of the New Zealand-Korea FTA, kiwifruit exporters paid a 45 percent tariff on kiwifruit. Their Chilean competitors enjoy duty-free access. • Prior to the NAFTA agreement being signed by Canada, Mexico and the US in the 1990s, New Zealand was a significant supplier of dairy products to Mexico. Since Mexico eliminated tariffs for US dairy products, New Zealand’s share of Mexico’s cheese imports declined from 20 percent to 4 percent, and our share of milk powder imports from 25 percent to less than 10 percent. • Reductions in tariffs and quota barriers on goods trade. • Reductions in non-tariff measures on goods trade. • Improved trade facilitation measures. 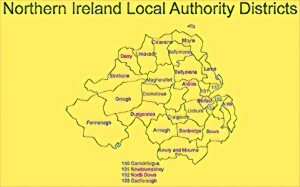 • Reductions in barriers on services trade. The agro-food sector, the most hard-hit by NAFTA, could suffer a new beating under the TPP. To put this into context, let us remember some figures from the Bank of Mexico: in 2014, the Mexico had a trade deficit for agro-food and agro-industrial products of US $2.593 billion, an amount equivalent to 40% percent of the budget assigned that year to the Secretariat of Agriculture, Livestock, Rural Development, Fisheries and Food (SAGARPA). The figures for imports by sector are frightening: between 2010 and 2014, imports of milk, diary, eggs and honey grew by 57.% totalling more than 2 billion dollars in 2014; meat and edible meat offal imports grew by 42.5% to $4.596 billion; cereals grew by 31.6% reaching $4.259 billion; and imports of legumes grew by 15.3%. Together, imports in these four sectors grew from $10.751 billion to $14.342 billion, an increase of 33.4%. To give just some examples of recent analyses of the potential impacts on food sovereignty, agriculture and health, the TPP would result in illegal contamination of foodstuffs by genetically modified organisms, and a new report questions the rules of food security and animal health in the TPP (http://goo.gl/SKKbqe).